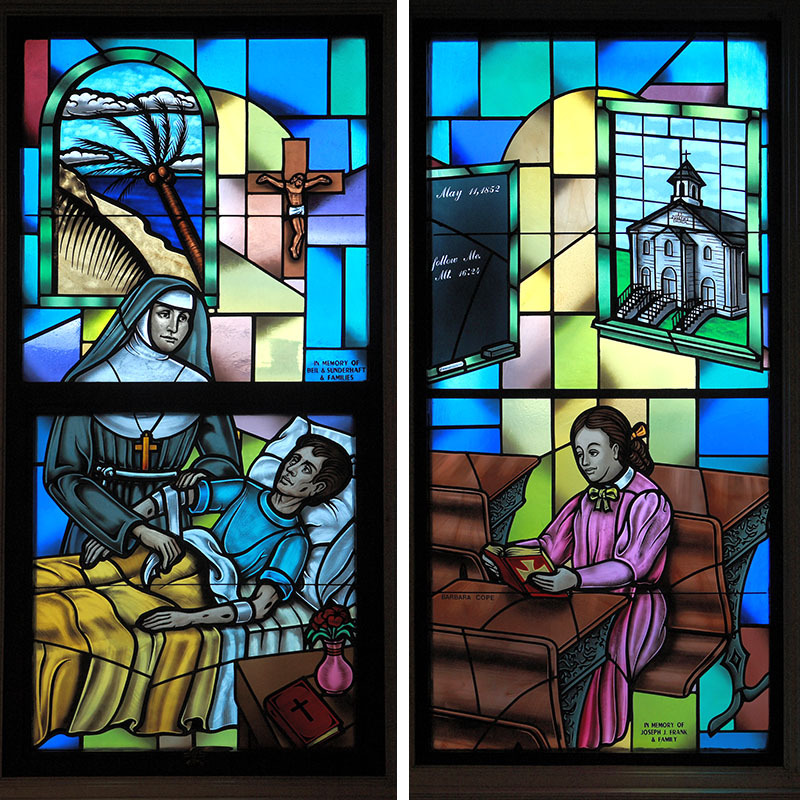 The St. Marianne Cope Chapel in Utica, NY contains windows depicting scenes from the life of this new Saint. 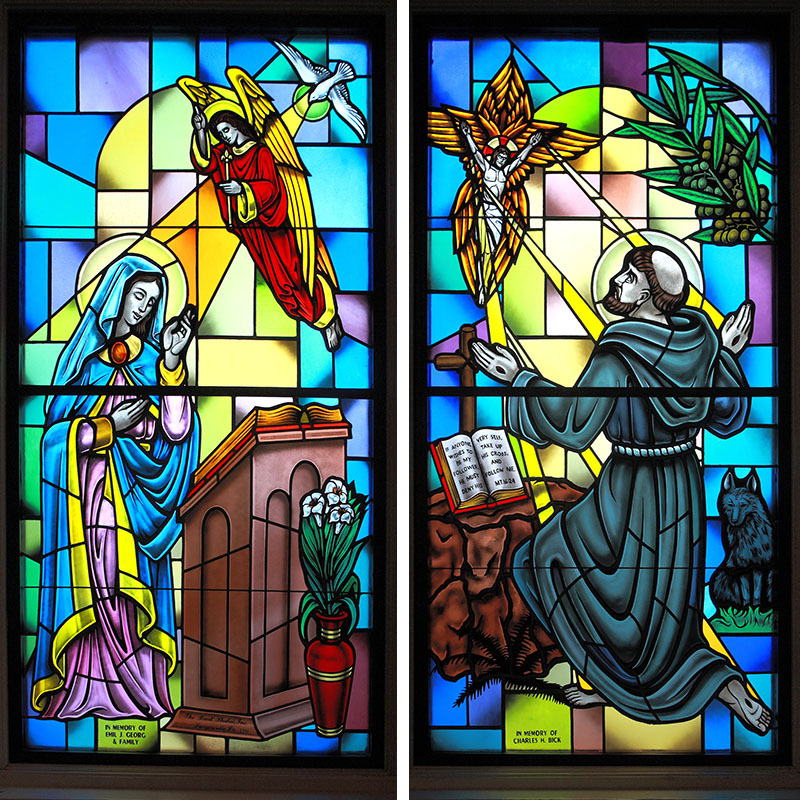 Also featured is the Annunciation, and St Francis of Assisi. An article on this chapel was published in the Stained Glass Quarterly of the Stained Glass Association of America, Fall 2013.